Snapchat's biggest strength is the highly engaged teen audience using the service because their friends are using it. And that’s also the draw for investors. 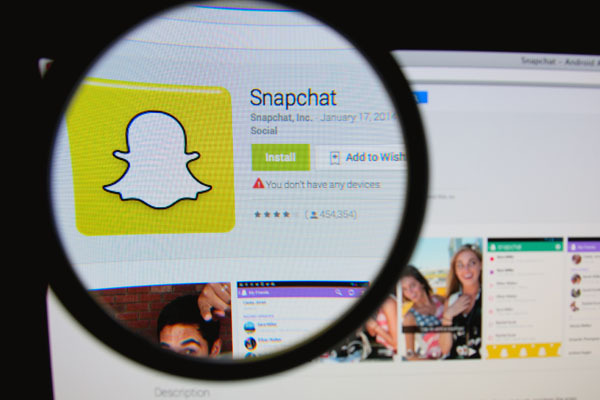 Snapchat recently turned three, and despite a period of waning press interest, the app’s user base has continued to grow. Now, there are rumors that Yahoo is investing $20 million into the photo- and video-sharing service, valuing the company at $10 billion. Indeed, even with the mounting security concerns, nothing seems to dampen the investor enthusiasm for Snapchat. Instead of friends posting old photos to Facebook or Instagram, (Snapchat users) said that knowing what their friends were doing in the moment, letting them glimpse into their personal life without filters or tailored posts, was more meaningful. In the video, Jerome Jarre, a Snapchat star with one million followers, organized an impromptu meetup to discuss the use of Snapchat. He expected about 20 people, but the post was seen by 142,000 people in just 16 minutes, and dozens of participants showed up in Union Square with barely an afternoon’s notice. Snapchat holds power largely because of its much lauded ephemerality. Users in the video talked about how each post was ‘In the moment,’ and how there was always something new to look at. However, the problems with leaks and weaknesses in Snapchat’s security infrastructure haven’t gone away. Supposedly disappearing pictures were taken from a service called SnapSaved.com, which allowed users to access snaps through their web browsers. It seems this service was also storing the images without their knowledge. Much like the recent ‘Celebgate’ hacks, some of the stolen snaps made their way to 4chan. Snapchat’s response was to blame users for using third-party services, which is forbidden in the terms of service. Still, the security problems have done nothing to slow new user signups, or even cause current users to leave the service. One of Snapchat’s biggest strengths is that there’s a highly engaged teen audience using the service because everyone in their friend network is using it. That’s the draw for investors, but it may also be the draw for hackers and other bad actors, too.